FMPGC has two new boats in which to train, and hopefully race in this summer. 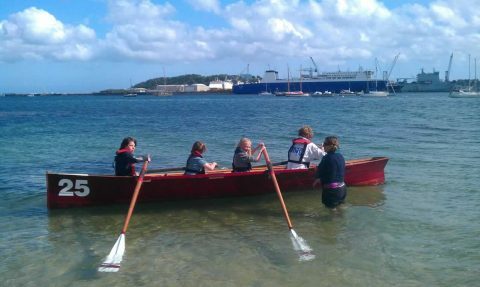 Thanks to the funding we have received from Sport England, we have purchased a flashboat (Zilpher) and skiff (Joker). Both have been refurbished by club members and last night the club’s youngest Junior rowers had a taste of using the Flashboat. The aim is to encourage more youngsters to take up rowing. Further sessions for the Juniors (and adults) will be held after school on Thursdays from about 4pm. Contact Marianne Groen on 07530 279895 if you would like to come along.